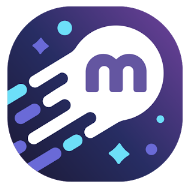 Memrise is a service through which you can learn vocabulary for a new-to-you language, study science flashcards, review math problems, or review content from any of the hundreds of online course offerings on Memrise. Review on Memrise happens in a manner that is a blend of flashcard flipping and quiz question answering. After signing into your Memrise account select a category that you want to study. Then within that category choose one of the many sub-topics. For example, I chose History & Geography then selected Capitals and within that topic I selected Canadian Capitals. To review the capitals Memrise showed me a few capitals and locations in a flashcard style before hitting me with a few quiz questions. That pattern repeated until I had worked through all of the capitals. I earned points for correct and timely answers. My points helped me move up the leader board for the activity that I chose. The content on Memrise is generated by users who develop and share materials. If you don't find materials suitable to the topic you're studying, you can develop and share your own online review course on Memrise. Memrise offers Android and iPad apps to complement the online platform. Memrise offers Memrise for Teachers. Memrise for Teachers will allow you to add students to your online account, assign courses of study (sets of review materials) to them, and track your students' progress through Memrise activities.